Keka Interactive is a boutique interactive studio that creates highly sophisticated, immersive online experiences with a dedication to branding, striking visuals and cutting-edge technology. With extensive background in the luxury lifestyle sector, we work with new and traditional brands to create engaging online experiences that meet our client’s business needs with style. 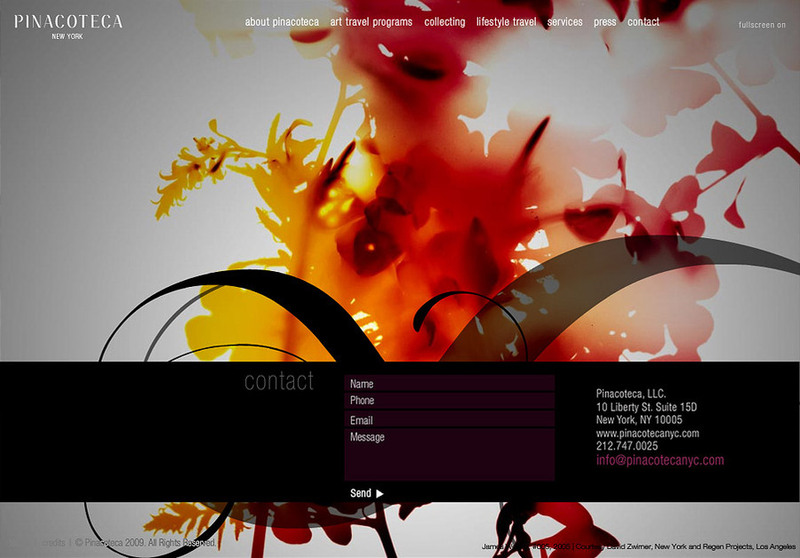 Recent clients include: Pinacoteca New York, a unique luxury art travel company, Chef David Bouley, a renowned three-star New York culinary visionary, and artist Regia Marinho, a striking New York abstract painter. Past projects include: The Plaza Hotel Residences, Time Warner Center Residences, Downtown by Philippe Starck, among others. Screenshot from our latest work, for Pinacoteca New York, a unique luxury art travel company.